EKV or EKATARINA VELIKA was a rock group in former Yugoslavija. EKV was one of the most successful and influential music acts coming out of former Yugoslavia. Group was formed in 1982. The group’s core consisted of singer and guitarist Milan Mladenović, keyboardist Margita Stefanović and bassist Bojan Pečar, with other members mostly remaining for comparatively shorter periods. Following the disbandment of Šarlo Akrobata, in February 1982, Milan Mladenović (guitar, vocals) with Gagi Mihajlović (guitar), Dušan Dejanović (drums), and Zoran “Švaba” Radomirović (bass) formed the band Katarina II, named after Mihailović’s unrequited love, a girl named Katarina. During the late 1982, after the performance at the cinema Topčiderska zvezda, the band was joined by the classically trained pianist Margita Stefanović. At the time, the rhythm section had changed, with Radomirović leaving to join Du Du A and Dejanović joining the heated rivals Disciplina Kičme. On early 1983, Bojan Pečar became the new band member. In the spring of 1983 the band took part in Zagreb Bienalle and received positive reviews. Their material for the debut album material was recorded soon after, featuring guest appearance by the actor Svetislav Goncić on tin whistles. The recording sessions for the material were completed in the Druga Maca studio owned by Enco Lesić however, due to a variety of reasons, most of them having to do with the poor technical equipment, the material was unusable. The following year in RTV Ljubljana studios, the band took the offer of fellow musician Srđan Marjanović, who was the label’s musical director at the time, to rerecord the material for the debut album. Katarina II debut album was eventually released in 1984, mostly featuring the lyrics written by Mladenović, except for the songs “Vrt” (“The Garden”) and “Platforme” (“The Platforms”) written by Mihajlović, while the music was a collaboration between the two. The tracks like “Aut” (“Out”), “Jesen” (“Autumn”), “Radostan dan” (“A Joyful Day”), “Treba da se čisti” (“It Ought To Be Cleaned”), “Ja znam” (“I Know”) the band successfully linked Milan’s descriptive lyrical sensibility with the energetic New Wave sound. Soon after the album release, the band went through more lineup changes. Due to constant SFR Yugoslavia-wide touring, with frequent stops in Belgrade, Zagreb and Ljubljana, and occasional TV spots, the band’s popularity had gradually grown. At the beginning of the following year, the band recorded their second studio album, recorded at the Zagreb SIM studio and produced by Vladimir Smolec and the band members themselves. Ekatarina Velika, featuring Massimo Savić and Karlowy Wary member Tomo in der Mühlen as guests, provided the band with its first hits, “Oči boje meda” (“Honey Colored Eyes”), “Modro i zeleno” (“Indigo and Green”) and “Tattoo“. After the album release, on March 22, 1985, they played outside of Yugoslavia for the first time, making a positive impression at Culture Days in Turin, Italy. Another memorable concert took place in Zagreb as part of Bolje vas našli Belgrade-Zagreb band exchange. Towards the end of 1985,, the new lineup released the third studio album S vetrom uz lice (Faced Against the Wind), proving to be the breakthrough album that turned them into bona fide stars. The album was produced by Milan Mladenović, Margita Stefanović and Dragan Čačinović, extensively using the E-mu Emulator II 8-bit sampler. With the hits “Budi sam na ulici” (“Be Alone on the Street”), “Ti si sav moj bol” (“You Are All My Anguish”), “Novac u rukama” (“Money in the Hands”), and “Kao da je bilo nekad” (“As If It Had Once Been”) came some lukewarm reviews from the critics complaining about the similarities to the works of the Simple Minds. After the album release, the band toured extensively all over former Yugoslavia, and the recording of one of the five sold-out performances at the Zagreb club Kulušić, made on November 2, 1986, was released in early 1987 on the live album EKV 19LIVE!86. The band promoted the release of the live album in Belgrade during January 1987 and triumphed atDom Omladine with six sold-out shows. During spring of the same year, Ivan Ranković decided to leave EKV in order to form a new group Ulica Od Meseca with his old bandmates from Tvrdo Srce i Velike Uši. Ranković was replaced by the actor Srđan Todorović, a former Disciplina Kičme became the new drummer, playing his first show on April 9, 1987, at the New Rock festival held at the La Locomotive club in Paris. On autumn of the same year, the band got the Sedam Sekretara SKOJa for the achievements on the second and third studio album. During the summer of 1987, the band released the album Ljubav (Love). Prominent tracks from the album include “Zemlja” (“Earth”), “7 Dana” (“7 Days”), “Pored mene” (“Beside Me”), “Ljudi iz gradova” (“People From The Cities”), and “Ljubav” (“Love”). It had also shown the first signs of Milan’s depressive lyrics, as exemplified by song “Tonemo” (“We Are Sinking”). The album had also confirmed their live attraction status with two consecutive sold out shows at Belgrade’s Pionir Hall sports arena. In January 1989, the band finished the recording sessions for the album Samo par godina za nas (Only a Few Years for Us). Several hits from the album include “Krug” (“The Circle”), “Par godina za nas” (“A Few Years for Us”), and “Srce” (“Heart”). The sixth studio album Dum dum (Bang Bang), released in 1991, featured the Plejboj member Dušan Petrović and session musician Bata Božanić as bass players, Tanja Jovićević on backing vocals, Zvonimir Đukić on guitar and Mitar Subotić on keyboards and machines. The album featured the prominent songs “Zabranjujem” (“I Forbid”), Idemo(“Let’s Go”), “Dum dum” (“Bang Bang”) and “Bledo” (“Pale”), inspired by the outbreak of the Yugoslav Wars and the general political and economical situation in the country. Their final studio album was Neko nas posmatra (Somebody Is Watching Us), released in May 1993. The album featured songs like “Ponos” (“Pride”), “Jadransko more” (“The Adriatic Sea”), “Just Let Me Play Some Modern R’n’R Music” and Zajedno (“Together”). For the first time, the band had included a cover song on and album, “Istina Mašina” (“Truth Machine”), originally performed by the Yugoslav rock band Time. The band resumed their activities when Mladenović returned to Yugoslavia. There were plans to make a new album, tentatively titled Ponovo zajedno (Together Again), but the idea was shelved because of Milan’s health problems. EKV played what would turn out to be their last ever show on August 24, 1994 in Budva at the Pjesma Mediterana festival. The very next day Milan was held in a hospital, and it was soon discovered that he had pancreatic cancer. Ekatarina Velika is considered one of the top and most influential acts of the former Yugoslav rock scene. They were in front of the time with creativity and thing of the time they were creating music, especially their frontman Milan Mladenovič. On September 18, 2002, Margita Stefanović died, being the fifth band member to die prematurely. Ivan Vdović died of AIDS on September 25, 1992. Milan Mladenović died of pancreatic cancer on November 5, 1994. Bojan Pečar died of a heart attack on October 13, 1998. Dušan Dejanović died on November 16, 2000. Read also great article on RTV website. Documentary Kao da je bilo nekad – dedicated to group Ekaterina Velika. 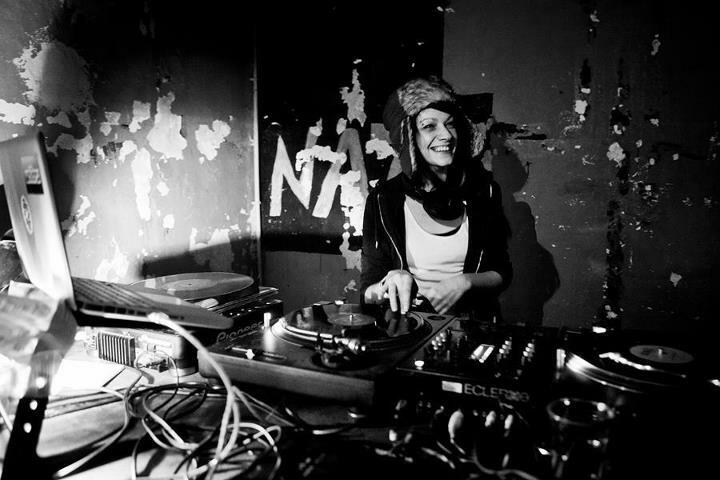 Djane Sista is a first Slovenian woman dnb DJ. Today she combines dnb,dubstep & reggae into her performances. Over the years she performed with artists like: Stamina MC , Killawatt, David Boomah, Son of Kick, Marky, Kandžija, Frenkie, Edo Maajka, Baga Sound. Take is the first single from his 2 studio album called Watch the dance. He is also one of 4 hosts of the show In new dj’s we trust on BBC Radio 1. More about Toddla T on his Wiki page.